Watching Rush last Friday at the United Center in Chicago for what will likely be the last time, I was torn between the tale of two sets: one predictable and lackluster, and one that left me wishing the band would stick around for another tour or two. The trio performed a reverse chronological set, but rather than mining deep into their catalog during the first half, they relied heavily on songs that were mainstays of their concerts for years (and they also skipped too many stops along the way). The second set helped redeem the evening, and if this is truly the band’s last stand, it was an impressive way to end a forty plus year run. One can forgive Rush for wanting to play three songs from their highly regarded last studio effort, Clockwork Angels, and though “Far Cry,” off of Snakes and Arrows was an uninspired choice since they just performed it two years ago, it’s still a great track. So far so good. However, the inclusion of “The Main Monkey Business” off the same album was a complete waste of time – an uninspiring instrumental that pales in comparison to some of the band’s other work. Then Rush did what they often do, relying on what I refer to as the “first-track syndrome.” Literally every other track of the first set (and the first of the second set) was taken from the first track of one of their albums, so instead of getting a surprise or two, we instead heard songs that have been performed numerous times in the past: “One Little Victory,” “Animate,” “Roll the Bones,” “Distant Early Warning” and “Subdivisions.” How much better would the concert have been if Rush had instead performed “Ceiling Unlimited,” “Between Sun and Moon,” “The Big Wheel,” “Kid Gloves” and “Digital Man”? On alternating concerts, Rush has been performing “How it Is” from Vapor Trails and “Between the Wheels” from Grace Under Pressure, and both would have been better choices the night I saw them. On a night that could have showcased each album of the band’s career, the most glaring error of the evening was skipping entirely the albums Test for Echo, Presto and Hold Your Fire. Ignoring Power Windows made sense since the last tour highlighted five songs from that effort, but leapfrogging over the other three was unfortunate, especially since these are all strong albums that could have offered some interesting selections. Geddy Lee had to screech his way through much of the latter part of the set, and I would have been just as happy hearing an instrumental medley, but overall he did a pretty solid job with the tunes. The big surprises were “Jacob’s Ladder,” which hadn’t been performed live since 1980, and “Lakeside Park” and “What You’re Doing,” which hadn’t been played since 1978 and 1977, respectively. It was also very cool hearing the first part of “Hemispheres” for the first time since the Counterparts tour. Visually, the concert was appealing in that the band’s crew gradually simplified the stage, so that what started as an intricate steam punk theme slowly evolved into a simple stage with a few amps on chairs and a screen backdrop make to look like a gymnasium, a sort of Benjamin Button for the stage, if not for the performers themselves. As always, the band employed a great number of prerecorded tracks triggered via foot pedals, from backing vocals to keyboards and sound effects. I’ve learned to accept this over the years, though it detracts from the musicianship of the band. I would have much prefer to see three guys on stage playing everything live. Nonetheless, the band will largely be known for its solid live performing, and last Friday’s show was no exception. I bid Rush a fond farewell. 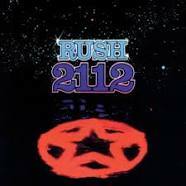 The band Rush is notorious for sticking to the following script: play most of the new album, the first track off of another 11 or 12 albums, one or two surprises, and call it a tour. Though I’ve seen them do this eight times (82, 85, 90, 91, 94, 02, 12, 13), rumor has it that the current tour could provided more in the way of surprises, and since this will be the last time I see the band I’m hoping to go out on a high note. While I could check the set list on-line, I’ve decided to go to Friday night’s show at the United Center in Chicago cold, because anticipating what song comes next is half the fun. Recognizing that I’m reaching here, below is my Rush Wish List, and I’ll check back after Friday to see what part of my wish comes true. I suspect very little, but one never knows. I’m going to go in reverse chronological order. 19) from Snakes and Arrows: nothing really, but if I had to pick, Spin Drift would be okay. 13) from Presto: almost anything, but Chain Lightning and Superconductor would be cool. So there you are. I understand that on this tour there are a number of songs that Rush will be substituting between gigs. I’ll cross my fingers that I get the better of the two setlists, but either way, it’s been a hell of a ride for this band and this fan. My son and I will take it all in one last time. Well, it sure has been a fun journey. Rush is a band that for forty years now has pushed the envelope, evolved with the times, challenged themselves, and produced some terrific albums. Simply put, there isn’t one original album they’ve released that doesn’t have some redeeming qualities. Even the worst Rush (except for Feedback) is better than many other bands’ best efforts. Comparing all twenty albums is a bit ridiculous, because it’s like comparing four or five bands in one. It’s like contrasting The Beatles of 1964 to The Beatles of 1968 (and that there’s only four years separating “She Loves You” and The White Album is absolutely mind-boggling to me). When I’m in the mood for progressive Rush, A Farewell to Kings is the ultimate album for me. A more poppy Rush? Presto fits the bill. Something in between, then Permanent Waves is just about perfect. A more rocking album, and you can’t go wrong with Counterparts or Clockwork Angels. And if you want down-home blues rock, then Rush ain’t too shabby. #1 Permanent Waves. Aside from a few production quibbles, a perfect album, the ultimate blend of accessible, exciting rock and roll, thought-provoking ballads and complex, progressive pieces. #2 A Farewell to Kings. Such an interesting, exciting album, full of intricatacies that keep the listener's attention, yet still melodic and accessible with some wonderful shorter pieces. #3 Moving Pictures. Side two wavers just a bit, but side one is among the most perfect album sides ever recorded. It's also a standout for it's clean yet full production. #4 Presto. An accessible album that still has a bit of an edge to it. Exciting and moving, with some especially poignant lyrics by Peart. The band wishes they could record this album again. I have no idea what they would change. #5 Hemispheres. 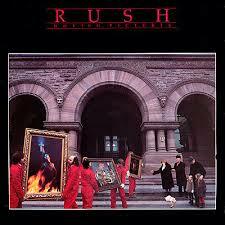 A close second to its predessessor for best progressive album by Rush. The band manages a couple of short pieces as well, along with their best instrumental (or is it YYZ? Close call). #7 Roll The Bones. Good almost from start to finish, with relatable lyrics about fate and chance. Don't think it belongs here? Think again. #8 2112. The first side is almost as good as Moving Pictures' first side. A near-perfect epic. Side two not as much, but a terrific album that turned things around for the wavering band. #9 Counterparts. A great album whose middle sections loses it just a bit for me. "Double Agent" gets my vote for the worst original Rush song ever recorded. Holy crap. #10 Clockwork Angels. That Rush can still produce an album of this quality is remarkable. A great effort, with shifting moods and instrumentation, with melody and riffs to boot. #11 Grace Under Pressure. One of those albums that used to bug me. I still don't like "Afterimage," but oh well. A great bridge between guitar-Rush and synth-Rush. #12 Hold Your Fire. A great poppy album with inspiring lyrics. The band may vote for "Tai Shan" is its worst song, but I accept it as a mild hiccup on a terrific effort. #13 Signals. A better album than I expected, with some songs I'd forgotten about and perhaps didn't appreciate years ago. Men and boys rule the album - be them digital, analog or new world. #14 Rush. A surprisingly good effort, with ridiculous lyrics but oh so sweet riffs and guitar solos. Better than most of the rock drivel that sold millions in the 70s. #15 Power Windows. Some wonderful tracks that suffocate under the weight of exhausting synth-heavy production. I'm a keyboardist, and I know a thing or two about the synthesizer, but this goes way over the top. "Territories" is the standout here. #16 Fly By Night. Yes, a few hiccups here and there, but some terrificly accessible rock songs and a few lengthy numbers that set the stage for what's to come. #17 Vapor Trails. A tiring, endless album that sabotages its finest moments with terrible sections. The first two tracks save this album from last place. 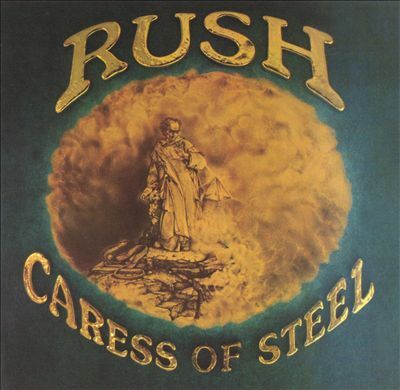 #18 Caress of Steel. Some interesting parts, but ultimately an inconsistent release. #19 Snakes and Arrows. I know several Rush fans who would put this album in their top five. For me it's an endless, morose, unvarying effort. #20 Feedback. Absolutely pointless and unredeeming. So there you are. Disagree? Chime in and let me know. After all, Rush fans can disagree. As Peart penned, "Everybody got to deviate from the norm." The opening song “Bastille Days” is basically “Athem 2,” a rip-roaring number that was a live favorite for a number of tours. The band shows its first signs of a sense of humor on the throw-away track, “I Think I’m Going Bald,” a song that would have been better suited on Rush despite it being penned by Peart, and the very accessible “Lakeside Park” is a pleasant tune, oddly out of place considering what’s to transpire (and the guitar is annoyingly panned all the way left during the verses for some inexplicable reason). “The Necromancer” is Rush’s second venture into the land of extended, multi-section pieces, and it’s an effective one save for the warped, slow-tape narration. The first movement – the song’s best – is a moody, repetitious, minor-keyed movement reminiscent of a Pink Floyd jam, and the second section brings to mind “Cygnus X-1” with its sudden starts and stops. The growl of By-Tor come back briefly, but unlike on the Fly By Night album, Geddy wisely get’s out of the way of Lifeson’s solos (regrettably panned back and forth, an amateurish and unnecessary production trick), and the last section has a fine, three-chord outro (think “Sweet Jane”) that gives the song a melodic, positive lift. Hearing “The Fountain of Lamneth” for the first time in years, I found it alternately brilliant and regrettable. The first section, “In the Valley,” opens with a beautiful descending acoustic guitar pattern and melodic lyric that would play very well live as part of a largely medley, but then Geddy screeches his way through the next part. The minute-long “Didacts and Narpets” is unfortunate in every way except that it’s only a minute long. “No One At The Bridge” recalls the first section of “The Necromancer,” with a moody, hypnotic verse and terrific guitar solo; the only issue is the bridge when Geddy sounds like he’s about to tear his vocal chords apart (and not in a good way). He takes it down several registers in the next two sections, and they are better for it. “Panacea” is a flowing ballad, and “Bacchus Plateau” is the album’s most accessible tune, a three-chord pop song at its essence; if this were separate from the rest of the side-song piece it might have been a modest radio hit, and if Geddy could still hit the notes, it would be a great live piece. “The Fountain” ends the album side where it began, offering the listener some familiar territory, a helpful bookend. So where does it stand head-to-head against other Rush albums? It's hard to say. Comparing Caress of Steel to, say, Snakes and Arrows, is like comparing two different bands. In a way, they are two different bands. Twenty albums in twenty days! Tomorrow, I’ll be summarizing my journey, and then I’m taking a week to listen to some other music. Listening to Clockwork Angels, one gets the feeling that Rush enjoyed writing and recording this album. Unlike Snakes and Arrows, there’s a sense of exploration and joy on this effort, with shifting moods, exciting riffs, some great hooks and plenty of moments that challenge each member of the band. It’s easily the band’s best effort since Test for Echo, and quite possibly their best album since the early 80s. The opening “Caravan” immediately provides the hook and infectious chorus so often lacking in later Rush material, setting the stage with the universal chorus of “I can’t stop thinking big,” and “BU2B” provides an exciting opening riff and a memorable refrain. The album gets bogged down a bit with the unnecessary effects and interludes. There’s hardly a guitar part that isn’t bathed in effects, filling up the entire stereo spectrum, and beginnings and endings of songs are extended with traces of vocal and guitar parts swept with ethereal effects, sometimes serving to give the listener a respite from the onslaught of sound, other times doing nothing but prolonging what should have been a much shorter effort. This isn’t Rush of 1981, after all; they are not at their prolific best. An album of 50 minutes would have been preferred. A silly megaphone effect is employed on two successive songs: the title track, and again at 1:55 of “The Anarchist” before going back to a terrific chorus. As with many recent Rush songs, too often they write great parts of songs without writing an effective piece from beginning to end. “Carnies” is an example of a track whose verse is a complete mess, but whose other sections work extremely well. “The Halo Effect” is a complete song – probably the album’s best – melodic from the start, accessible, with universal lyrics, and one of the few times in recent memory that a Rush song ends exactly when it should at just over three minutes. “The Wreckers” is another gem, perhaps going on a minute too long (particularly at the bridge at 2:50), but again a very good verse and chorus with a contagious guitar intro. “Headlong Flight” is a blistering seven minutes of pure joy, employing brief allusions to Rush of yesteryear, including riffs from “Bastille Days” and “By-Tor and the Snow Dog.” It’s a powerhouse that I would expect to be included in any future tours the band might make, though I wonder if Clockwork Angels might be Rush’s swan-song. It wouldn’t be a bad way to cap off a forty-year career. As with so many hard-rock albums these days, Rush squashed the sound too much in the mastering process. You can practically hear the limiter pumping at 1:10 of “Seven Cities of Gold” as Geddy reaches for the high notes. I also noticed it at 2:43 of “Carnies.” Not a preferred production technique, but it’s unfortunately been the trend of heavy rock music for the past decade. Listen to A Farewell to Kings back to back with Clockwork Angels and you’ll hear just how much production has changed since the 70s, and not all for the better. “The Garden” ends the album with an touching summary of what one takes away after a long life of ups and downs. And then…it says it again and again, for almost seven minutes. But oh well. Such is the reality of an ambitious band in the CD age (though we’re almost out of that age, I would suspect). Tomorrow, I’ll be listening to Caress of Steel, a very weird way to end a twenty-day journey.